The First Relief started from Johnsons Ranch (east of present Wheatland, California) and followed the Wagon Road to reach the cabins. They brought some survivors back to Bear Valley. Meanwhile, the Second Relief started from San Francisco and reached the cabins. The Diary of the Second Relief is a diary kept by Jarmes Reed. He kept the manuscript. Patty Reed Lewis provided copies of both diaries to C.F. McGlashan in 1879 for his book. The diaries were donated to the Sutters Fort Historical State Park by the Reed estate in 1945. The diaries were transcribed by Carroll Hall in Donner Miscellany , and by Dale Morgan in Overland in 1846 . Wend. 3rd Cloudy looks like more snow not cold, froze alittle last night, sun shines out at times. It will be recollected that in a previous number of our paper, we called the attention of our citizens, to the situation of a company of unfortunate emigrants now in the California mountains. For purpose of making their situation more fully known to the people, and of adopting measures for their relief, a public meeting was called by the Honorable Washington A. Bartlett, Alcalde of the Town on Wednesday evening last. The citizens generously attended, and in a very short time, the sum of eight hundred dollars was subscribed to purchase provisions, clothing, horses, and mules to bring the emigrants in. Committees were appointed to call on those who could not attend the meeting, and there is no doubt but that five or six hundred dollars more will be raised. This speaks well for Yerba Buena. all hands were actively engaged until twelve oclock on Thursday the fifth [sic] of February in completing the arrangements at that time the horses were brought up and part of them saddled when unfortunately a few of them got away and recrossed the river Mr. Sinclair having done all that could be done then called the party together and addressed a few words of encouragement to them requesting them never to turn their backs upon the Mountains until they had brought away as many of their suffering fellow beings as possible, he then left us to return home while several of the men crossed the river at the same time to bring back the horses which got away from us when the horses were brought over there was every appearance of a storm coming on the day being nearly spent the party considered it best to remain until morning rather than risk the destruction of their provisions by the rain which in a short time after fell in torrents accompanied by one of the heaviest hurricanes ever experienced on the Sacramento. Feby 5th 1847--First day travelled 10 miles bad roades often miring down horses and mules. 10 miles would have brought the First Relief Party to the present Spenceville Wildlife Area. Finally we concluded we would go or die trying, for not to make any attempt to save them would be a disgrace to us and to California for as long as time lasted. We started, a small company of 7 men, myself, John Rhoads, Joseph Forster, Mr. Glover and some sailors. We each carried 50 pounds of provisions, a heavy blanket, tools and started. Ther was seven of us started Aquila Glover, Daniel Rhoades, John Rhoades, Daniel Tonker, Joe Sill, Ned Copymier and myself. We went up Bear River valley to the Johnson place, just below the snow line. we started on our journey, without a guide, and trusting to the judgment of our leaders, John P. Rhoads (my brother) and --- Tucker to find our way. Until we struck the snow we took the emigrant trail. ... Our road was in very bad condition and at frequent intervals we had to unpack the mules and drag them out of the mire. I left Capt. Sutters, by the way of San Jose, for San Francisco, being unable to come by water. When I arrived at San Jose, I found the San Francisco side of the bay was occupied by the Mexicans. Here I remained and was attached to a company of volunteers, commanded by Capt. Webber, until after the fight at Santa Clara. The road now being clear, I proceeded to San Francisco, with a petition for some of the prominent citizens of San Jose, asking the commander of the navy to grant aid to enable me to return to the mountains. Arriving at San Francisco, I presented my petition to Commodore Hull, also making a statement of the condition of the people in the mountains as far as I knew; the number of them, and what would be needed in provisions and help to get them out. He made an estimate of the expense that would attend the expedition, and said that he would do anything within reason to further the object, but was afraid that the department at Washington would not sustain him, if he made the general out-fit. His sympathy was that of a man and a gentleman. I also conferred with several of the citizens of Yerba Bueno, their advice was not to trouble the commodore further. That they would call a meeting of the citizens and see what could be done. At the meeting, the situation of the people was made known, and committees were appointed to collect money. Over a thousand dollars was raised in the town, and the sailors of the fleet gave over three hundred dollars. 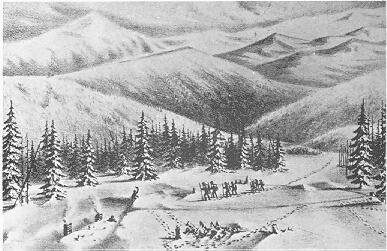 At the meeting, midshipman Woodworth volunteered to go into the mountains. Commodore Hull gave me authority to raise as many men, with horses, as would be required. The citizens purchased all the supplies necessary for the out-fit, and placed them on board the schooner------, for Hardys Ranch, mouth of Feather river. Midshipman Woodworth took charge of the schooner, and was the financial agent of the government. To Jas. F. Reed Esq. Sir You are hereby appointed as assistant to Passed Midn Woodworth who goes in command of the Expdn. to the California Mountains. You will go with the Pilot Mr. Greenwood and urge forward his equipment and early start and then to make the best or your way to Feather River to meet Mr. Woodworth at the point of rendezvous. You will keep a careful acct. of the necessary expenses of your expedition and submit the same to Mr Woodworth for his approval with the necessary vouchers. As the plan of the Expedition has been fully explained and your own deep interest in it, it is not deemed necessary to be more explicit in these orders--for further instructions apply to Mr. Woodward--and your own discretion to which much must be left. Caleb Greenwood of the Second Relief was an old Mountain Man, a contemporary of Jedediah Smith and Jim Bridger. Greenwood had guided the Stevens-Townsend-Murphy Party in 1844, the first party to successfully bring wagons over the Sierra Nevada. During his journey east in 1845, he discovered the Dog Valley route that bypassed the narrow upper Truckee River canyon, which he used on his return guiding 50 wagons. It was the Stevens Partys discovery of Greenwoods Cut-off from the Little Sandy to the Bear River that bypassed Bridgers Fort and caused Bridger and Vasquez to promote Hastings Cut-off to Reed and the other emigrants of 1846. Sund Mo 8 left Francisco half past one oclock on Sundaye in a Launch for Sonoma and arrived on Tuesday morning. One day a man came down the snow-steps of Mrs. Breens cabin, and fell at full length within the doorway. He was quickly raised, and some broth, made of beef and hide, ... put into his lifeless lips. It revived him so he spoke. He was a hired driver. His life was of value to no one. Those who would have divided their morsel with him, were in a land of plenty. She said that when a new call was made upon her slender store, and she thought of her children, she felt she could not withhold what she had. ... The man who had fallen in their door, died with them. Spitzer died ... imploring, Mrs. Breen, to put a little meat in his mouth, so he could just know, it was there, & he could die easy, & in peace. I do not think the meat was given to him, but he gave up the ghost, & was no more. Then the little child of Mrs. Eddy who, with her two children, were with us, her husband having gone with the Forlorn Hope, died, and was not buried until its mother died two days later, and they lay in this same room with us two days and nights before we could get assistance to remove their corpses to the snow. 15 miles would have brought the Party across Greenhorn Crossing and Steephollow Crossing, to the present Lowell Hill Ridge. When Milt Elliott died,--our faithful friend, who seemed so like a brother,--my mother and I dragged him up out of the cabin and covered him with snow. Commencing at his feet, I patted the pure white snow down softly until I reached his face. Poor Milt! it was hard to cover that face from sight forever, for with his death our best friend was gone. 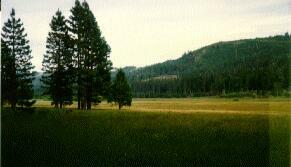 Mule Springs is located on Lowell Hill Ridge, north of the Bear River across from present Baxter, California. In about five or six miles a day we reached the snow which we found three feet deep. Through this we worried along some five miles when it became too deep for the mules to go any further it being eight feet deep and falling all the time; a regular storm having set in. we struck snow and stopped to make snow-shoes. We left our mules and loads of provisions on the mountains there, and started up into the snow with about sixty pounds of provisions each. It were seventy miles over the divide inter Truckee canyon, where they told us the camp was. The snow was bout fifteen feet deep and soft. All made an average of ten mile a day. Joseph Chiles ranch was north of Younts, in present Chiles Valley. Joseph Chiles had arrived in California with the Bartleson-Bidwell Party in 1841, the first party to attempt to bring wagons cross country to California. That party abandoned their wagons at Relief Springs in eastern Nevada and crossed the Sierra near Sonoma Pass in October. Chiles returned east in 1842, rounding the Sierra at Tejon Pass. With the Mountain Man Joseph Walker, Chiles led a wagon train to California in 1843. Chiles rode ahead on horseback in a failed attempt to resupply the wagons. The wagons were abandoned on the east side of the Sierra along the Owens River. Thus, Reed had the benefit of two of the most experienced explorers then in California--Greenwood and Chiles. Curtis had abandoned his wagon the previous Fall. James Reed and Walter Herron had come across the wagons when they rode ahead to Sutters Fort in October Reed and McCutcheon rescued Mr. and Mrs. Curtis and cached flour in the wagons after the failed relief effort in November. We have but few of the particulars of the hardships which they have suffered. Such a state of things will probably never again occur, from the fact, that the road is now better known, and the emigrants will hereafter start and travel so as to cross the mountain by the 1st of October. The party which are suffering so much, lost their work cattle on the salt planes, on Hasitings cut off, a rout which we hope no one will ever attempt again. A company of twenty men left here on Sunday last for the California mountains with provisions, clothing &c. for the suffering emigrants now there. ... Mr. Greenwood, an old mountaineer went with the company as pilot. If it is possible to cross the mountains they will get to the emigrants in time to save them. By Capt. J.A. Sutters Launch which arrived here a few days since from Fort Sacramento--We received a letter from a friend at that place, containing a most distressing account of the situation of the emigrants in the mountains, who were prevented from crossing them by the snow--and of a party of eleven who attempted to come into the valley on foot. The writer who is well qualified to judge, is of the opinion that the whole party might have reached the California valley before the first fall of snow, if the men had exerted themselves as they should have done. Capt. E.M. Kern, commander of this district returned from Johnsons settlement on the 11th inst. ... he found the five women and two men that had succeeded in getting in from the unfortunate company now on the mountains, in much better health than could have been expectd; in fact they were suffering merely from their feet being slightly injured by the frost. They are living with the families of Messrs. Keyser and Sicard, and will come down to the Fort for protection as soon as they can walk. ... I hope your citizens will do all in their power to assist the unfortunate party on the mountains. All the horrid reports that they have received, part of which I wrote you in my last were corroborated by those who were so fortunate as to get in. Mr. Elliott came wandering around, and took up his place with us, we sharing the remnants of the beef-hides, no, the emigrant ox hides with him. We had quite a lot of such glue making material; but mark, it would not sustain life - as listen, Elliott soon starved to death. We found some of the more able neighbors to remove his corpse from our room, and bury it in the snow. On the other side of the mountains, the First Relief remained at Bear Valley: Morning of the 14--fine weather. 15 miles would have brought the party to the Yuba River about where the Trail comes down from Cascade Lake. 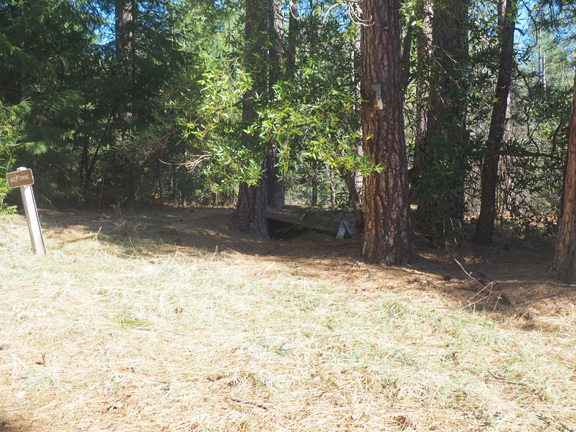 More likely, the party made only 11 miles to where the wagon road left the Yuba River below Cisco Butte. Stewart suggested that the Relief Parties did not make the difficult climb from Bear Valley up to Emigrant Gap. 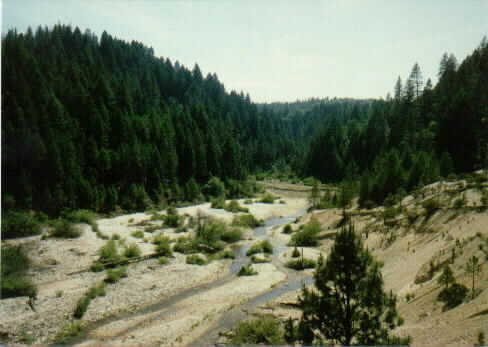 He suggested that they crossed from the Bear River to the Yuba River at the upper end of Bear Valley and followed the Yuba River to the Yuba Bottoms at Cisco Butte. Although T.H. Jeffersons Map of 1846 incorrectly shows the Yuba River flowing into the Bear River, it confirms that the emigrants knew that the Yuba River could be followed east from Bear Valley. Ascending the Yuba (now flooded by Lake Spaulding) could have been easier than climbing to the Gap. However, Tuckers comment that the party camped on Juba suggests that the First Relief reached the Yuba by following the wagon road from Bear Valley over Emigrant Gap. In 1847, Daniel Rhoads wrote to his father-in-law: After we reached the mountains the snow was 5 to 25 feet deep. We made snow shoes out of pine boughs. At the end of our days travel we cached some provisions to have on our way back. Our encountering the snow so deep and so much sooner than we had been led to anticipate utterly disheartened some of the party and six men turned back. We made a camp and left the mules in charge of one of Sutters men a German who went by the soubriquet of Greasy Jim Jim was to take care of the animals and to pasture them on hill sides with a Southern exposure and such other bare spots as he could find, until our return. Our party now consisted of seven, John P. Rhoads, ___ Tucker (now in Napa valley), Sept. Mootry (now in Santa Clara), ___ Glover (dead), a sailor named George Foster, a sailor named Mike, and myself. Each man made a pair of snowshoes. These were constructed by cutting pine boughs, stripping off the bark, heating them over the fire and bending them in the shape of an ox-bow about two feet long and 1 wide with a lattice work of raw hide, for soles. We attached them to our feet by means of the rawhide strips with which we were provided. On these we had to travel continuously except at brief intervals on hill-sides & bare spots where we took them off. Each man also took a single blanket a tin cup, a hatchet and as near as the captains could estimate 75 pounds of dried meat. Thus equipped we started. 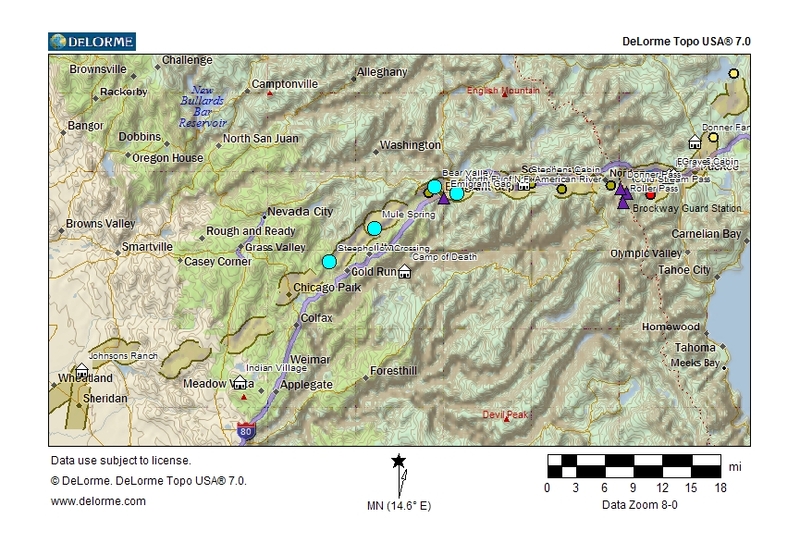 Foster had told us that we should find the emigrants at or near Truckee Lake, (Since called Donner Lake) and in the direction of this we journeyed. On the other side of the Pass, the First Relief weathered the storm: 17 Travelled 5 miles-- [5 miles, or likely less, would have brought the Party to Cascade Creek where the road left the Yuba and climbed the ridge to the south of present Kingvale. Of course we had no guide and most of our journey was through a dense pine forest but the lofty peak which overlooks the lake was in sight at intervals and this and the judgment of our two leaders were our sole means of direction ... For the guidance of those who might follow us and as a signal to any of the emigrants who might be straggling about in the mountains as well as for our own direction on our return trip; we set fire to every dead pine tree on and near our trail At the end of every three days journey (15 or 20 miles) we made up a small bundle of dried meat and hung it to the bough of a tree to lighten the burden we carried and for subsistence on our return. ... At Sunset we made Camp by felling pine saplings 6 inches in diameter and cutting them off about 12 feet long, & placing them on the snow making a platform 6 or 8 feet wide. On this platform we kindled our fire, and dozed through the night the best way we could. If we had made the fire on the top of the snow without the intervention of any protecting substance we should have found our fire, in the morning 8 or 10 feet below the surface on which we encamped. Knights Landing is on the Sacramento River 21 miles northwest of Sutters Fort (present Sacramento). The Feather River enters the Sacramento River approximately five miles east of Knights Landing. 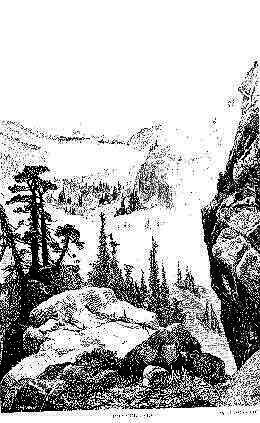 The dark rock buttress on the south of the Pass (the right side of the drawing and photograph) is the the north face of Donner Peak, the lofty peak which overlooks the lake, used to guide the First Relief Party according to Daniel Rhoads 1873 account. We went on making from four to six miles per day leaving a very sinuous trail by reasons of the impossibility of pursuing a straight course through the dense forest and of our having to wind around the sides of hills and mountains instead of going over them. The snow increased as we proceeded until it amounted to a depth of eighteen feet as was afterwards discovered by the stumps of the pine trees we burned. We travelled in Indian file. At each step taken by the man in front he would sink in the snow to his knees and of course had to lift his foot correspondingly high for his next step. Each succeeding man would follow in the tracks of the leader.--The latter soon became tired and fell to the rear and the second man took the head of the file. When he became fatigued by breaking the track he would fall back & so on each one in his turn. In 1847, Daniel Rhoads wrote to his father-in-law: We were seven days going to them. The people were dying every day. They had been living on dead bodies for weeks. 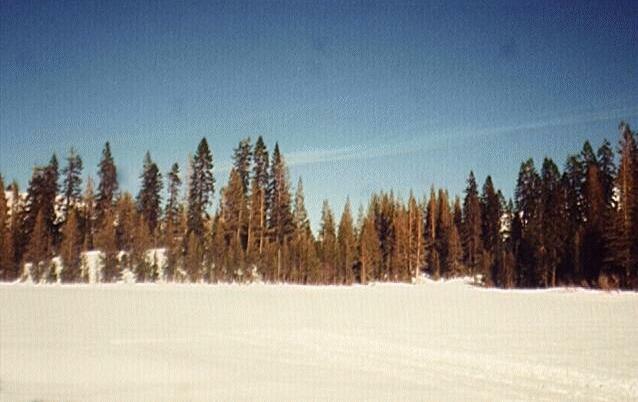 At sunset on the 16th day we crossed Truckee lake on the ice and came to the spot where we had been told we should find the emigrants. We looked all around but no living thing except ourselves was in sight and we thought that all must have perished. We raised a loud halloo and then we saw a woman emerge from a hole in the snow. As we approached her several others made their appearance in like manner coming out of the snow. They were gaunt with famine and I never can forget the horrible, ghastly sight they presented. The first woman spoke in a hollow voice very much agitated & said are your men from California or do you come from heaven. ... We gave them food very sparingly and retired for the night having some one on guard until morning to keep close watch on our provisions to prevent the starving emigrants from eating them which they would have done until they died of repletion. 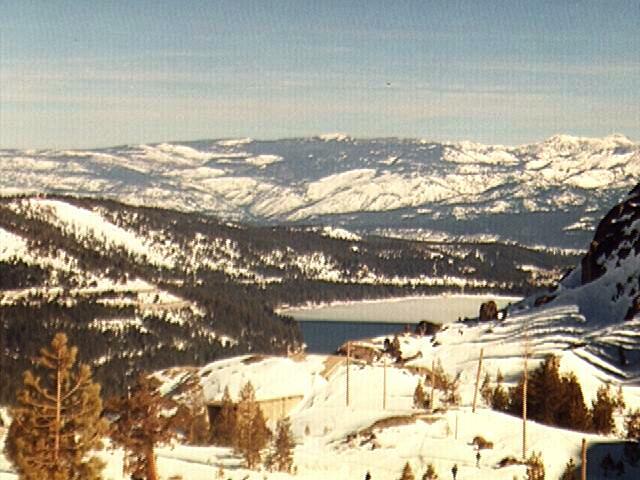 On the 18th of February we crossed the summit and made down the other side toward Truckee lake. About sundown me and Mr. Glover saw the cabins and tents o their party. We come nigh on fifty yard to em before we saw em. Ther camp stood bout sixty yards from the east end of the lake thats now called Donner. The snow was about twelve to fourteen feet deep an covered everything. Where the water was ther war a broad, clean sheet of snow. No one come up to greet us but when we got nearer an yelled, they came tumbling out of the cabins. They were an awful looking sight--a white and starved looking lot, I can tell you. There were pretty glad to see us. They took on awful, anyhow. Men, wimmen and children crying and prayin. After we was there a bit they told us how the had suffered for months. The food all gone an death takin em on all sides. Then they showed us up into their cabins, and we saw the bodies of them who had gone. Most of the flesh was all stripped off an eaten. The rest was rotten It was just awful. Ten war already dead and we could see some of ther others was going. They were too weak ter eat, an our pervisions bein scant, we thought it were best to let em go an look after th stronger ones. Moutrey embellished the story, as there are no other accounts of cannibalism at the Lake cabins before the arrival of the First Relief. On the evening of February 19th, 1847, they reached our cabins, where all were starving. They shouted to attract attention. Mr. Breen, clambered up the icy steps from our cabin, and soon we heard the blessed words, Relief, thank God, relief! There was joy at Donner Lake that night, for we did not know the fate of the Forlorn Hope and we were told that relief parties would come and go until all were across the mountains. But with the joy sorrow was strangely blended. There were tears in other eyes than those of children; strong men sat down and wept. For the dead were lying about on the snow, some were even unburied, since the living had not had strength to bury their dead. They arrived about 8 oclock ... and told us that father and his party all got through alive, but they froze their feet, and were so badly fatigued they could not come back with them. They said they would start back Monday or Tuesday and take all that were able to travel. Mother had four small children who were not able to travel, and she said I would have to stay with them, and get wood to keep them from freezing. I told her I would cut enough wood to last til we could go over and get provisions and come back and relieve them; to which she agreed, and I chopped about two cords. On the other side of the mountains, James Reed and the Second Relief halted: 19 Frid I was at Johnsons to day the boys had not arrived being detained in Crossing on nect of the high winds which arose when I landed on the East side. The morning after our arrival John P. Rhoads and Tucker started for another camp distant 8 miles East, where were the Donner family, to distribute what provisions could be spared and to bring along such of the party as had sufficient strength to walk. They returned bringing four girls and two boys of the Donner family and some others. ... let us glance at the parting scenes at Alder Creek. 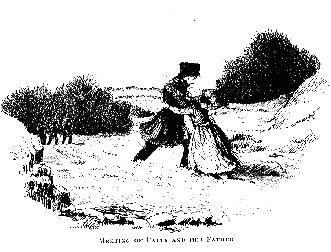 It had been determined that the two eldest daughters of George Donner should accompany Captains Tuckers party. George Donner, Jr., and William Hook, two of Jacob Donners sons, Mrs. Wolfinger, and Noah James were also to join the company. This made six from the Donner tents. Mrs. Elizabeth Donner was quite able to have crossed the mountains, but preferred to remain with her two little children, Lewis and Samuel, until another and larger relief party should arrive. These two boys were not large enough to walk, Mrs. Donner was not strong enough to carry them, and the members of Captains Tuckers party had already agreed to take as many of the little ones as they could carry. George Donners two eldest daughters from a previous marriage were Elitha Cumi, 14, and Leanna, 12. George, Jr., was 9, Samuel was 3 and Lewis was 3. Staying with Tamsen Donner were Frances, 6, Georgia, 4, and Eliza, 3. Staying with Elizabeth were Mary, 7, and Isaac, 5. Sixteen-year-old John Baptiste was disappointed and in ill humor when Messrs. Tucker and Rhoads insisted that he, being the only able-bodied man in the Donner camp should stay and cut wood for the enfeebled, until the arrival of other rescuers. The little half-breed was a sturdy fellow, but he was starving, too, and thought that he should be allowed to save himself. After he had a talk with father, however, and the first company of refugees had gone, he became reconciled to his lot, and served us faithfully. He would take us little ones up to exercise upon the snow, saying that we should learn to keep our feet on the slick, frozen surface, as well as to wade through slush and loose drifts. Frequently, when at work and lonesome, he would call Georgia and me up to keep him company, and when the weather was frosty, hew would bring Old Navajo, his long Indian blanket, and roll her in it from one end, and me from the other, until we would come together in the middle, like the folds of a paper of pins, with a face peeping above each fold. Then he would set us upon the stump of the pine tree while he chopped the trunk and boughs for fuel. He told us that he had promised father to stay until we children should be taken from the camp, also that his home was to be with our family forever. One of his amusements was to rake the coals together nights, then cover them with ashes, and put the large camp kettle over the pile for a drum, so that we could spread our hands around it, to get just a little warm before going to bed. Mother says: Never shall I forget the day when my sister Elitha and myself left our tent. Elitha was strong and in good health, while I was so poor and emaciated that I could scarcely walk. All we took with us were the clothes on our backs and one thin blanket, fastened with a string around our necks, answering the purpose of a shawl in the day-time, and which was all we had to cover us at night. We started early in the morning, and many a good cry I had before we reached the cabins, a distance of about eight miles. Many a time I sat down in the snow to die, and would have perished there if my sister had not urged me on, saying, The cabins are just over the hill. Passing over the hill, and not seeing the cabins, I would give up, again sit down and have another cry, but my sister continued to help and encourage me until I saw the smoke rising from the cabins; then I took courage, and moved along as fast as I could. When we reached the Graves cabin it was all I could do to step down in the snow-steps into the cabin. Such pain and misery as I endured that day is beyond description. We took twenty-one of em; mostly wimmen and children. The strong ones we chose, as we couldnt get the weak ones across. They were bound to die, so we left em. It was pitiful to hear em cryin for us, but we had to go. It was sure death to stay there. In 1873, Daniel Rhoads of the First Relief wrote an account for H.H. Bancroft: The next morning we started on our return trip accompanied by 21 emigrants mostly women & children. We had good luck all the way over the divide. We had gone over in soft snow and our tracks had froze hard, giving us a clear trail back. Four of ther children, that were almost gone, we took turns in carryin on our backs. The rest walked. The relief had left part of their provisions on top of the mountain, thinking to have it on their return and save packing it down and up the mountain; and leaving everything with those behind, made calculations to reach their deposit the first day, which we did, tired and hungry; but, lo, and behold! there was nothing there. The fishers (a mountain animal), had torn it down and devoured it, so the children had to got to bed without their supper. But the bed! what do you suppose it was? soft enough, deep enough and as white as any swans down; but no blanket to cover; and we were in that fix for four more days, before we could see bare ground. Denton was left by the Trail in Summit Valley, near present Norden. The Party continued on and camped on the Yuba River near present Kingvale. On the third day an emigrant named John Denton, exhausted by starvation and totally snow-blind, gave out. He tried to keep up a hopeful & cheerful appearance, but we knew he could not live much longer. We made a platform of saplings, built a fire on it, cut some boughs for him to sit upon and left him. This was imperatively necessary. 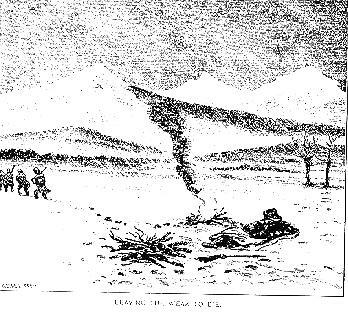 William Graves wrote in his 1877 article Crossing the Plains in 46 : about noon, the third day, John Denton got snowblind, and could not travel, so we had to leave him on the snow, to suffer the worst of deaths. In the Mts. I used to sit in mothers lap each morning to have my hair combed and as she brushed out the tangles she kept my attention engaged with the stories of Joseph and his cruel brethren, Daniel in the lions den, and Elijah and the ravens, the cruel of oil and the meat which never grew less. She also spoke of my Aunt Elizabeth and wanted me to love her. In 1873, Daniel Rhoads of the First Relief wrote an account for H.H. Bancroft: John Rhoads carried a child in his arms which died the second night. William Graves wrote in his 1877 article Crossing the Plains in 46 : The second day, Mrs. Keisburg offered twenty-five dollars and a gold watch to anyone who would carry her child through; but it died that night and was buried the next morning in the snow. After meeting the First Relief, the Second Relief reached the Yuba River Bottoms, where they made a cache. 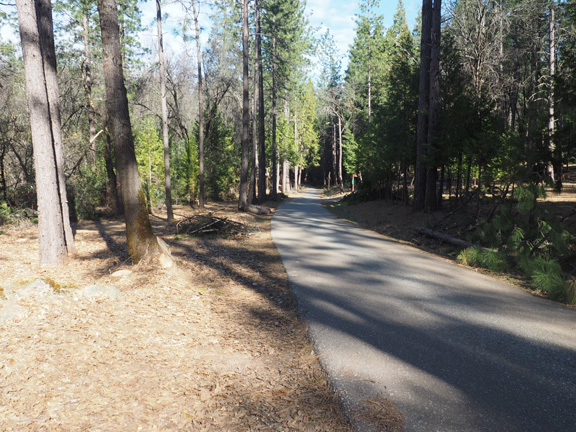 15 miles would have brought them to where the Trail left the Yuba River near present Kingvale. Just before reaching camp the following day, they met Messrs. Glover and Rhodes of the party fitted out by Sinclair, Sutter, and McKinstry, who informed them that they had reached the cabins and found the people in the worst condition possible; that they had started for the settlements with twenty-one persons, old and young, but owing to the robbery of their cache by a vicious little animal, called Marten, their provisions had become exhausted, and that they had left the party in a starving condition several miles behind. Receiving this information, Mr. Reed immediately dispatched Messrs. Richie and Gordon to the Mule springs to bring up the provisions cached there, and with instructions that if they should meet Mr. Woodworth to send him on with all speed, for upon him Mr. Reed greatly depended for future supplies, knowing that the quantity he had himself was insufficient for the support of the sufferers from the cabins to the settlements. About this time an incident occurred which greatly surprised us all. One evening, as I was gazing around, I saw an Indian coming from the mountains. He came to the house and said something which we could not understand. He had a small pack on his back, consisting of a fur blanket, and about two dozen of what is called California soaproot, which, by some means, could be made good to eat. He appeared very friendly, gave us two or three of the roots, and went on his way. When he was going I could never imagine. He walked upon snow-shoes, the strings of which were made of bark. He went east; and as the snow was very deep for many miles on all sides, I do not know how he passed the nights. In 1877, William Graves wrote in his article Crossing the Plains in 46 : On the fifth day, about ten oclock, I and some of the stronger, reached camp where the provisions were; but the weaker ones did not get in till night. Wm. Donner ate so much he died the next day about 10 oclock. at at Bear Valley, my sister who was with me, cut my shoes off my feet, when they swelled so that I could not put them into mens moccasins; and being unable as I thought, to walk I was left there, until the party [William Hook] died, when the nurse left with him determined to go, as provisions had failed, and we were in need of relief. So I took the biscuits and jerked beef out of the pocket of the corpse, which furnished us food on our journey of two days. I found I could walk when then was no place to stay and as I followed the snow I could get along, though I was barefooted when I came to camp, and my blood marked my trail. I was eleven and a few days old. 28 Sund left Camp about 12 oclock at night and was Compl to Camp about 2 ocl, the Snow Still being soft. left again a bout 4 all hands and made this day 14 miles in camp early Snow soft, Snow her 30 feet 3 of my men Cady, Clark & Stone kept on during the night which they intended but halted to within 2 miles of the Cabins and remained without fire during the night on acct of 10 Indians which they saw the boys not having arms and supposed they had taken the cabins and destroyed the people in the morning they started and arrived all alive in the houses give provisions to Keesberger, Brinn, Graves and two then left for Donners a distance of ten miles which they made by the middle of the day I came up with the Main body of my party Informed the people that all who ware able Should have to Start day after tomorrow made soup the infirm washed and clothed afresh Mrs Eddy & Fosters with Keesbergs people Mr Stone to cook and watch the eating of Mrs Murphy Keesberge & 3 children"
Reeds reference to Mrs Eddy & Fosters is a reference to their surviving children, James Eddy, 3, and George Foster, 4. Mrs. Foster had left with the Snowshoe Party, and Mrs. Eddy had died at the cabin on February 7. Reeds use of the term the eating of Mrs Murphy... is unfortunate, in that he means the feeding of the people in the cabin, and is not referring to cannibalism. they saw the top of a cabin just peering above the silvery surface of the snow. As they approached it, Mr. Reed beheld his youngest daughter, sitting upon the corner of the roof, her feet resting upon the snow. Nothing could exceed the joy of each, and Mr. Reed was in raptures, when on going into the cabin he found his son alive. The family at this cabin still had a little provisions left from the supplies furnished by Mr. Glover. His party immediately commenced distributing their provisions among the sufferers, all of whom they found in the most deplorable condition. Among the cabins lay the fleshless bones and half eaten bodies of the victims of famine. we traveled all this night, and about the middle of the next day we arrived at the first Camp of Emigrants, Being Mr. Breens. If we left any provisions here, it was a small amount. He and his family not being in want. We then proceeded to the camp of Mrs. Murphy, where Keysburg and some children were. Here we left provisions and one of our company to cook [for] and attend them. From here we visited the camp of Mrs. Graves, some distance further east.